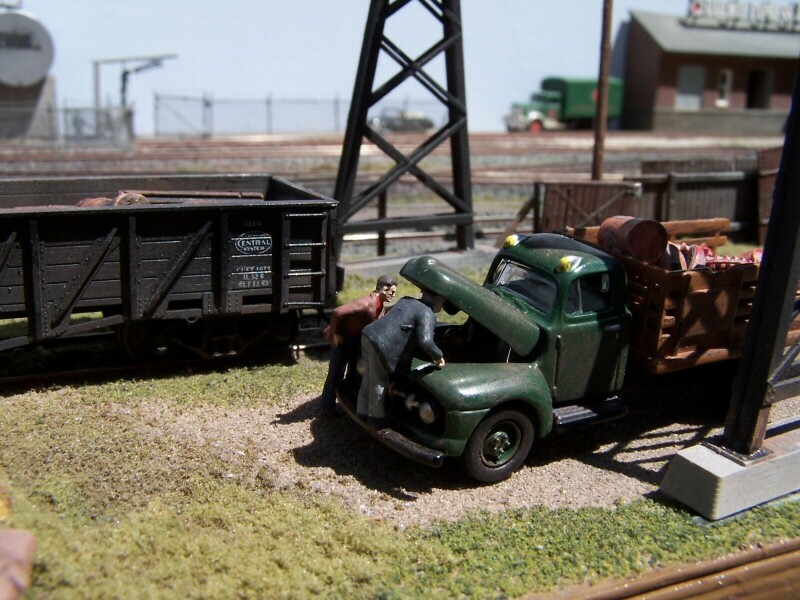 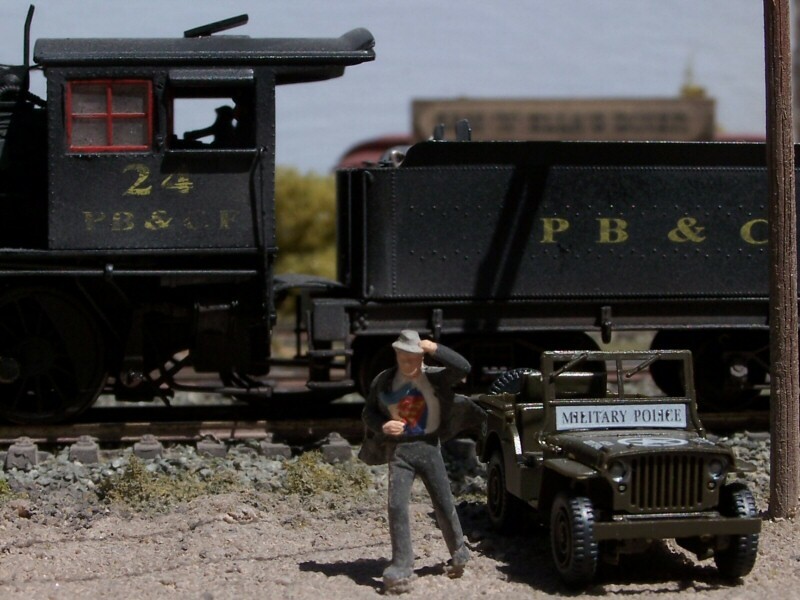 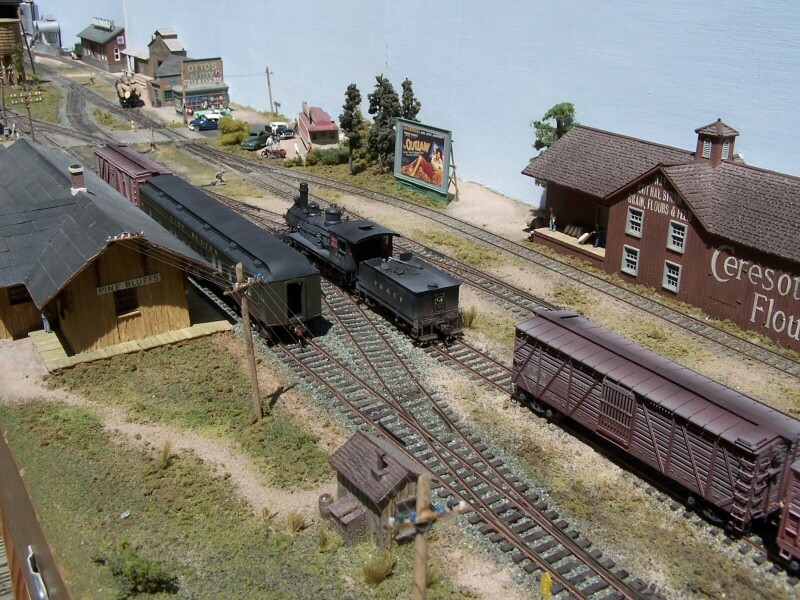 Begun in 1994, the Pine Bluffs & Ceda Falls Railroad was created by the American Section of the Alton Model Railway Group, and evolved out of the design criteria the section set down for construction of a modular American exhibition layout. 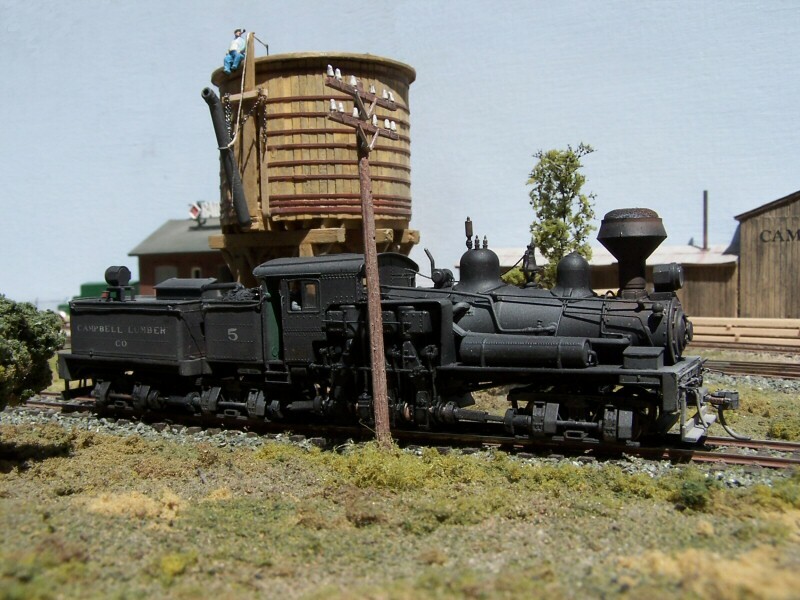 Our aim was to create an easily expandable design, that would allow members and the section to build and exhibit a variety of models, based on the same basic design and construction methods. 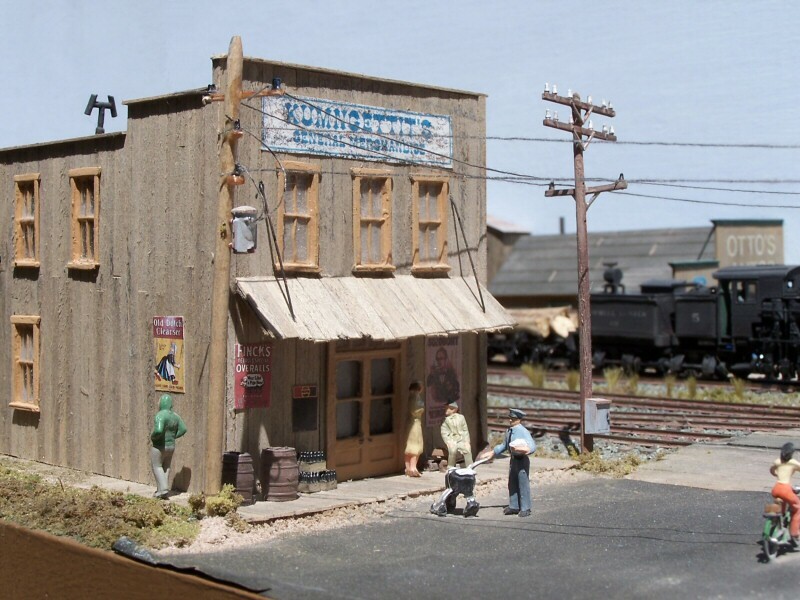 The final design had two and a half metres of ‘display’ area, and included a depot, water tower, local store, flour/grain warehouse, diner, petrol station and garage, and a furniture factory. 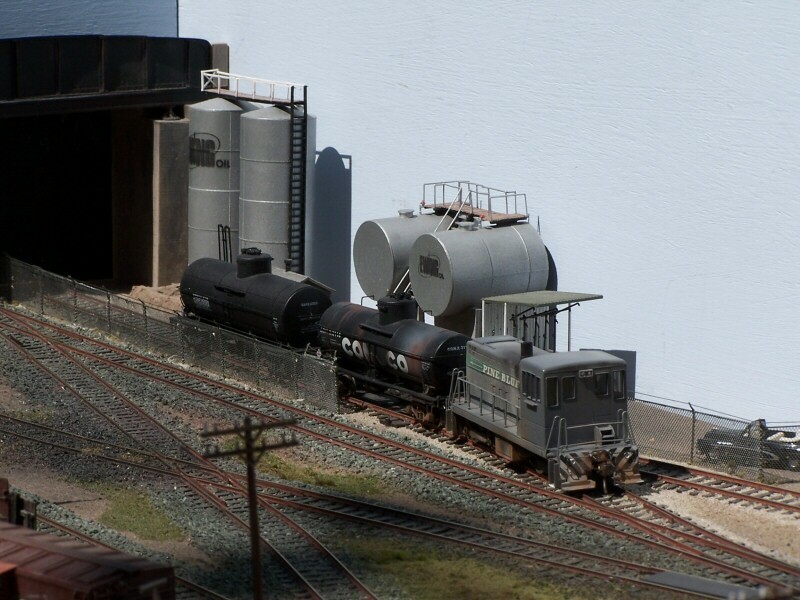 Construction on the layout began in mid 1994, and the layout attended its first exhibition in 1996. 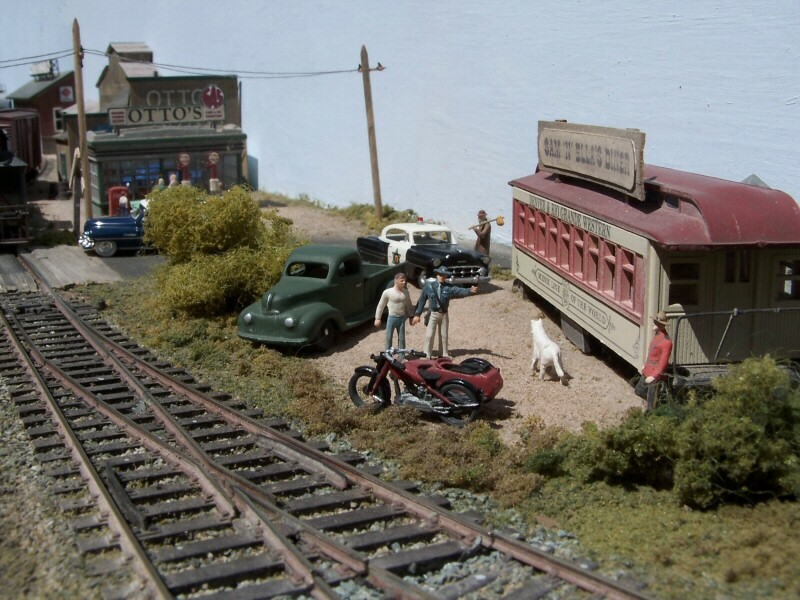 Since then it has attended an average of eight exhibitions per year. 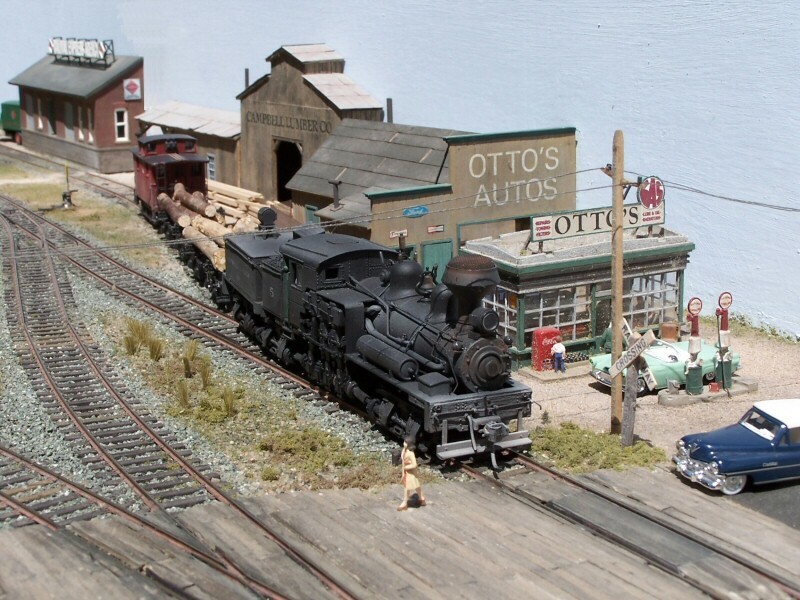 Apart from general maintenence, little was done with Pine Bluffs Depot until 2001, when the section decided to make an end-to-end version of the Depot. 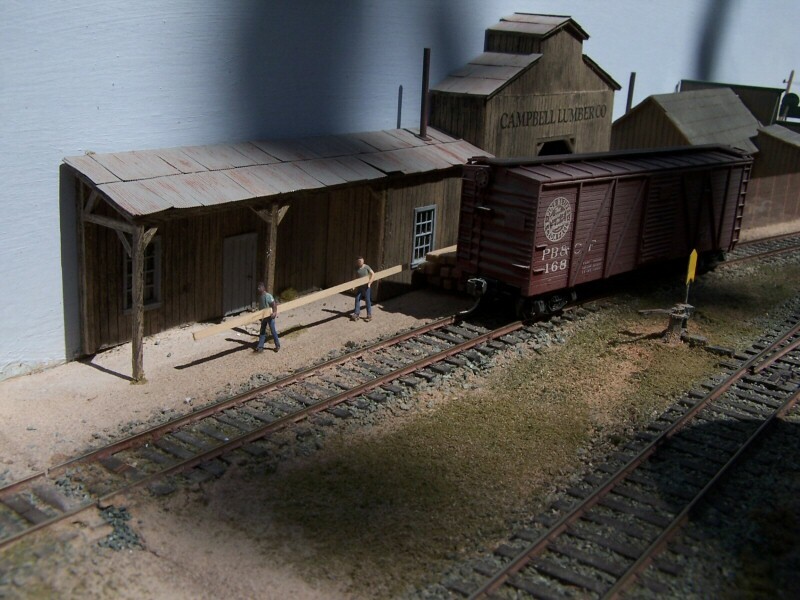 This involved making a new fiddle yard and new one metre board to be used instead of the short half metre board. 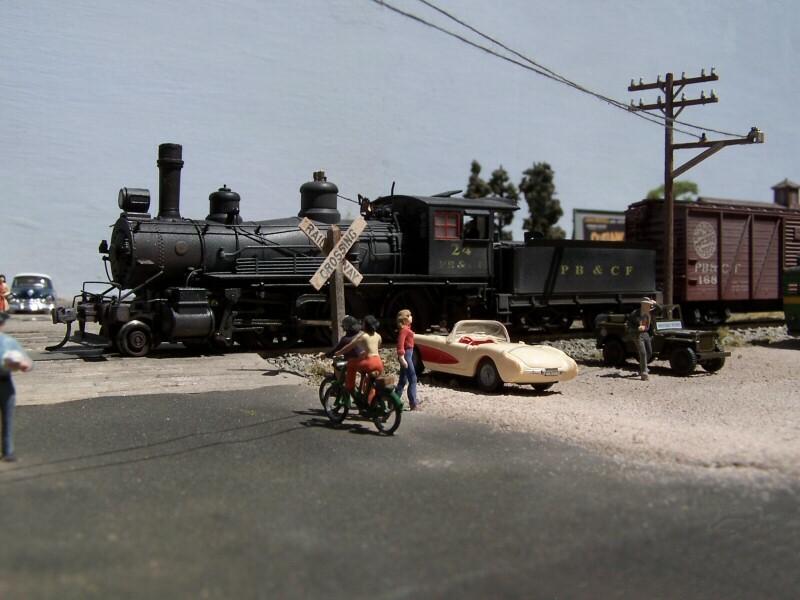 The new one metre board includes an Oil Depot, Railway Express Agency building and a Scrapyard. 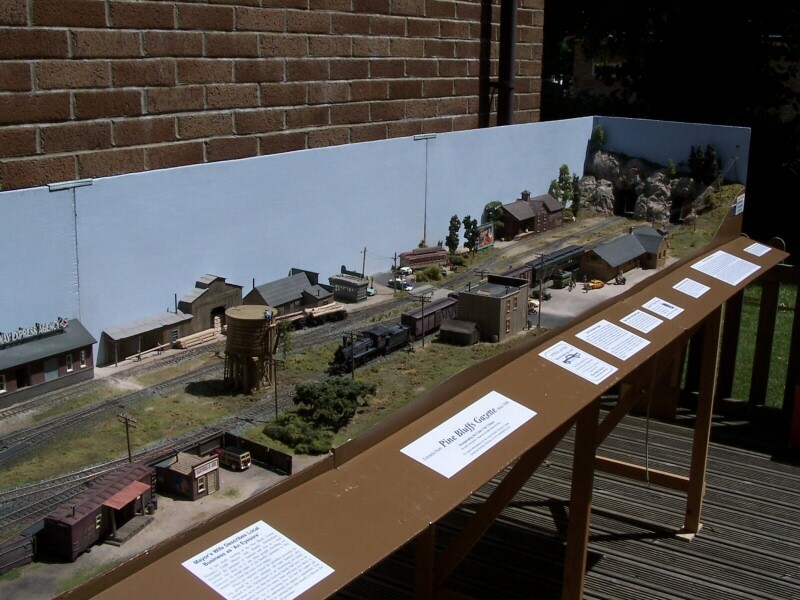 This new board was completed in the summer of 2002, and had its first exhibition at Alton Limited 2002. 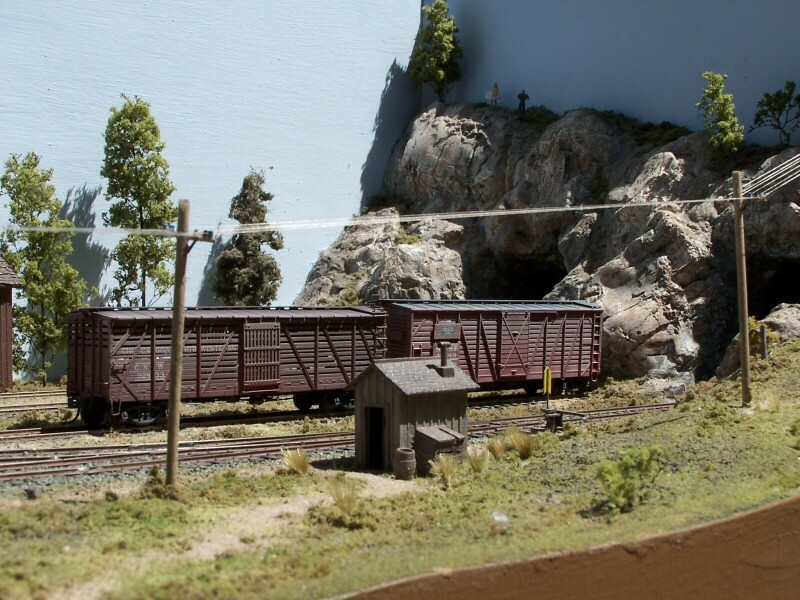 The layout has recently been converted to DCC operation, and is available for exhibitions as part of Pine Bluffs & Red Dot Mine. 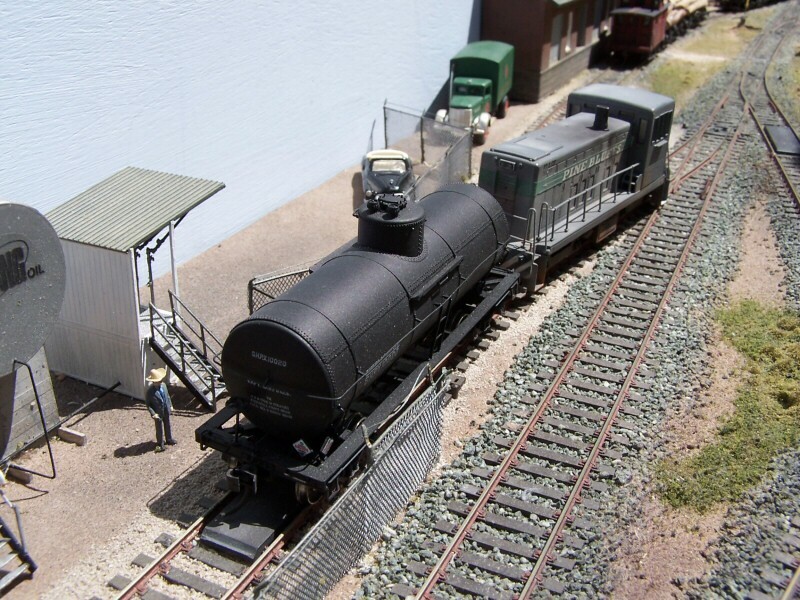 To book Pine Bluffs Depot for your exhibition, please contact Allan Rose on 01420 564262.